The Pacific Northwest is known for many things—rain, coffee, glass art, and sailboats among them—but thinking all Northwest cities have the same vibe would be a mistake. Each city has its own distinct atmosphere, and often the residents of the city are pretty proud of what makes them locals. Seattle is no exception. But what makes a Seattle resident stand out? Yes, it rains a lot in Seattle, but if you’re local, you probably don’t carry an umbrella. You likely pop up your hood or even just walk in the rain—you’re used to it. Plus, who wants to carry around a wet umbrella all winter long? While there are Seattle natives who aren’t big on coffee and tea, most of them have a hot beverage or two of choice. While tourists will line up at the original Starbucks near Pike Place and ponder their options, locals are likely at an indie coffee house and can rattle off their perfect cup seamlessly. If it’s not coffee or tea, then you probably know your craft beer of choice. You work or know someone who works at Amazon, Microsoft, Nintendo or another big tech company. It’s inevitable. The bonus is that you probably have someone in your social circle who can help you build a website, fix your computer, or create an app. You know the term sunbreak and as soon as you see the sun, you head out to the nearest park to enjoy it, along with the rest of Seattle. Few cities have so many people outside on a nice day. You’re tolerant. Seattleites love to live and let live. We were some of the first to vote for gay marriage, legalizing marijuana, and higher minimum wage. You have your favorite teriyaki or pho place and can probably explain why the place you go is superior to others nearby (it’s all in the sauce or broth)! You probably buy at least some of your produce from a farmer’s market because Seattle's farmer’s markets are amazing, including the iconic Pike Place Market. You wait for the walk light, even in the rain. If someone is crossing the street on the red hand…well, they’re probably not a local. You know someone with or own your own sailboat, trawler, kayak, or other watercraft. At the very least, you’ve been on a boat at some point to go out to explore the lakes, Ballard locks, or Puget Sound. Or maybe you’ve stopped by the Center for Wooden Boats. Or maybe you just like to spend some time sitting on the shore and watch the boats go by. Chances are you have some connection to the water since it surrounds the city. 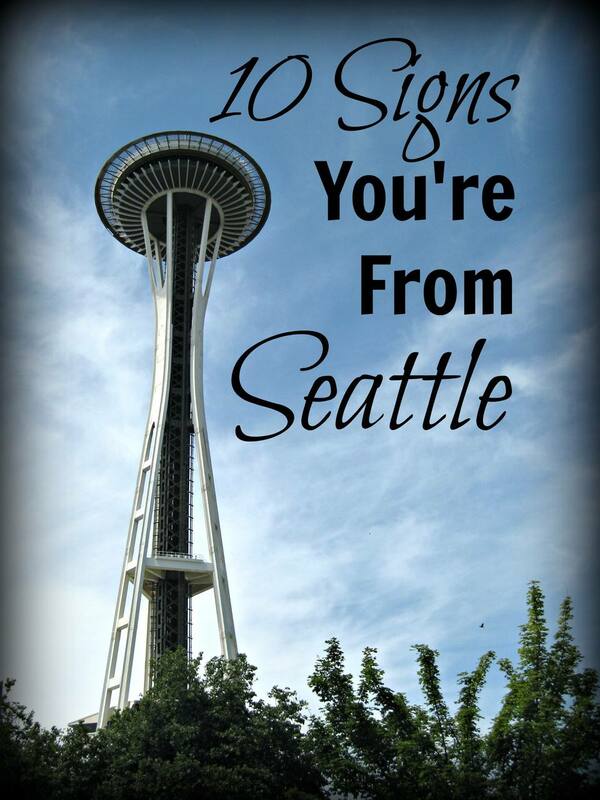 You have specific feelings about other Northwest towns and cities, from Tacoma to Portland. No, they’re not all the same. No, they aren’t all Seattle.